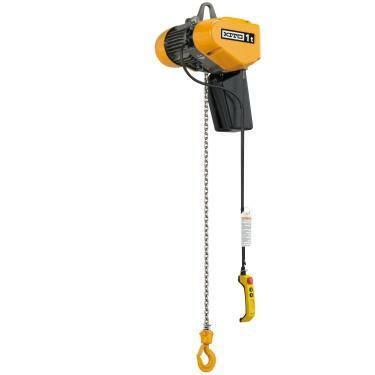 Heavy Duty Electric Chain Hoists designed and manufactured for a more intense usage with higher duty ratings that are certified to perform at top capacity. Cranes-UK offers only the best quality hoists to applications that require the best of the best such as our ranges of GIS, Kito, Yale, Demag, Hadef and Liftket Motorised Chain Hoists which can be supplied with upper and lower adjustable limit switches to ensure no unintentional operation is performed that could damage the load/machine, dual speed operation to allow the operator to have better control over the load and reduce speeds for precision, higher capacity motors to allow extended operation time, protection against water for outdoor use and much more. What ever your heavy duty electric chain hoist requirements may be Cranes-UK can offer an economical and competitive solution that is sure to impress both functionally and financially. 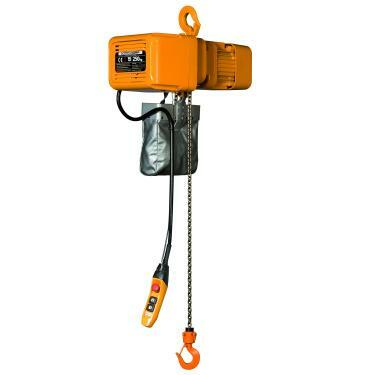 The Yale CPE Electric Chain Hoist is built to a heavy duty specification with lifting capacities up to 10 Tonnes. The superior and robust hoist unit is manufactured in Germany in a quality maintained environment from the toughest materials to ensure a hoist that will stand up to intense operation and live a long working life. Designed with safety as highest priority the hoist features 42v low voltage controls, adjustable spring pressure brake to hold the load even in the event of power failure, motor fitted with biometallic thermal protection and insulated to class F as well as offering optional upper and lower limit switches. Easy maintenance is always in mind when Yale design a hoist- the oil bath lubricated gearbox runs extremely smoothly and reduces wear and tear. Each hoist is made up of thre main components that make servicing really easy and efficient fault finding. Yale CPE/F Heavy Duty Electric Chain Hoists can be specified to feature dual speed hoisting combined with optional dual speed electric horizontally travelling beam trolleys, extended heights of lift, alternative voltages, radio controlled and many other options.